Well, I guess I'm gonna see what all the talk is about. 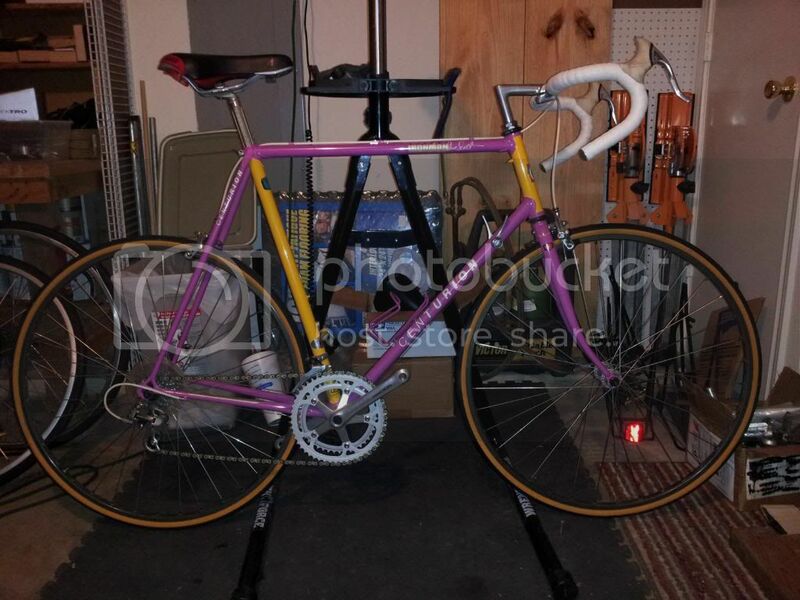 I bought this 1987 Ironman Expert today, and it's in pretty fantastic condition. I may upgrade it to 8 speed 600 STI, but I'll probably leave it as is for a little while. It needs a few adjustments and that saddle will be replaced, but so far I'm happy with it. The serial number is N7K5937. Here it is as found. 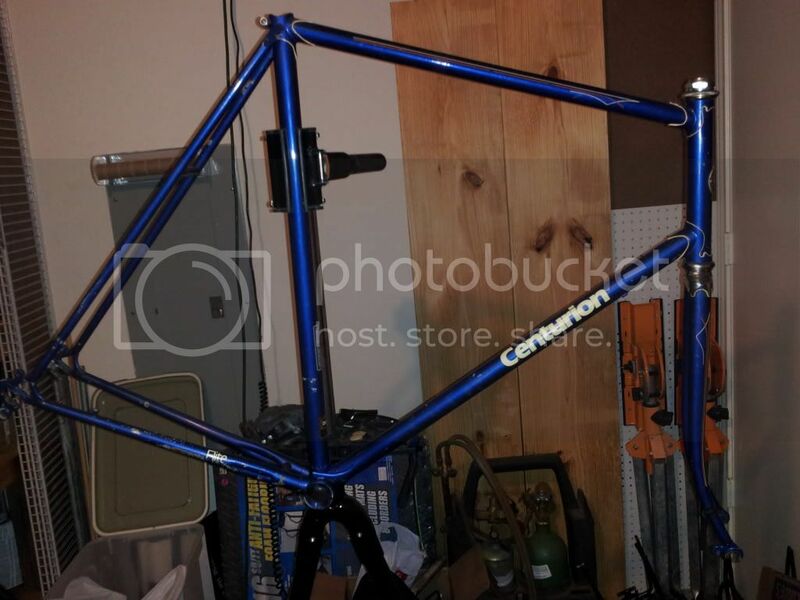 I also have this Centurion Elite frameset that I got from JunkFoodJunkie. It has a bent steer tube and bent top and down tubes. I didn't see a serial number anywhere on this one...not sure yet what I'll do with it.